With the team of diligent professionals, we are offering Project Financing Arrangement Services. These arrangement services are highly praised by the customers due to offering complete reliability. 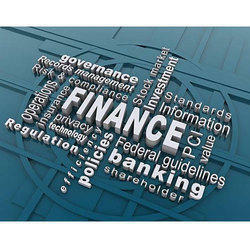 Our firm is highly capable to offer these financing arrangement services in quick timing. In the competitive world, funds and cost of funds play a very crucial role in deciding the cost effectiveness and operational efficiency of the business enterprises. TechEngg has also partnered in developing and delivering some strategic projects. With its strong network with investors and financial institutions it can also facilitate project financing at attractive rates. We leverage our extensive knowledge of middle market private equity & Venture Capital to advise owners of privately held businesses & raise minority equity capital to fund growth, liquidity, & ownership transactions. The client’s requirements are acquired after the study of various aspects like site, weather, context, soil condition, etc. We prepare a concept design. We provide funding advisory services for range of requirements of our clients; starting from assessment of client requirements, preparation of project reports / financial statements till finalization of funding and disbursement. We have liaison with various banks, financial institutions and other funding agencies and have expertise in the procedures adopted by them for the funding process. 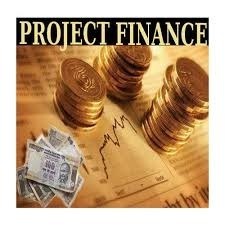 The project finance route permits the sponsor to extend their debt capacity by enabling the sponsor to finance the project on someone's credit, which could be the purchaser of the project’s outputs. Sponsors can raise funding for the project based simply on the contractual commitments. Capitalizing on the ability of our well-trained workforce, we are readily engaged in providing Arranging Project Finance . A team of well-trained staffs is offering these services as per the thorough demands of our clients. We believe in offering precise solution of client's needs and assist them accordingly. With the team of diligent professionals, we are offering Arranging Project Finance Services. These Arranging Project Finance are highly praised by the customers due to offering complete reliability. Our firm is highly capable to offer theseArranging Project Finance services in quick timing. S. K. Jaiswal & Co.
financing of infrastructure and industrial projects based upon the projected cash flows of the project rather than the balance sheets of the project sponsors. Usually, a project financing structure involves a number of equity investors, known as sponsors, as well as a syndicate of banks that provide loans to the operation. Eastern Powers plays the role of a Financial Advisor in connection with any specific transaction ensuring speedy and satisfactory completion of the Transaction. We are providing an alluring range of project financing consultancy to our clients. being a reliable and trustworthy solution providers, we offer credible counseling to our clients helping them to survive amidst stiff competition in the market. therefore, our consultancy is based on specified laws and regulations according to the projects. We house a complete array of financial services required for a successful completion of the project. These services are provided by our highly qualified professionals keeping in mind the parameters provided by the clients.